Calling someone who is in another country can be expensive, but you don’t need to empty your wallet to speak to friends, family or business contacts who are based overseas. Below are five tips for calling abroad at an affordable price. The cost of calling abroadto someone on a cell phone can be huge and you often can save money by calling their landline instead. Make sure you get someone’s landline number so you can use that rather than calling them on their cell. If you find that you are calling abroad frequently and having to use your mobile phone, contact your network provider about their international calling plans. Don’t just accept what they say, though – do some comparison shopping to find the best possible deal. It may mean taking on a second cell phone or an extra SIM card, but this can sometimes be cheaper in the long run. Setting up deals with your landline or cell provider, using phone cards, and calling landlines rather than mobiles can all save you money, but perhaps the best option is to use VoIP (Voice over Internet Protocol) systems. You can read more about the set up and your international call options at Vonage. The way VoIP works is to have calls directed via the internet. It’s simple to use and all you need is a touch tone phone, internet connection and adapter. If you want to make affordable phone calls to the USA,India, Australia or some other far-flung destination, a good VoIP package will definitely save you money. You can get great deals on internet and telephone bundles these days, so shop around to find the best possible offer. Don’t just automatically go with the cheapest rate, however – check all of the details of the plan to make sure you are getting the best value for money. 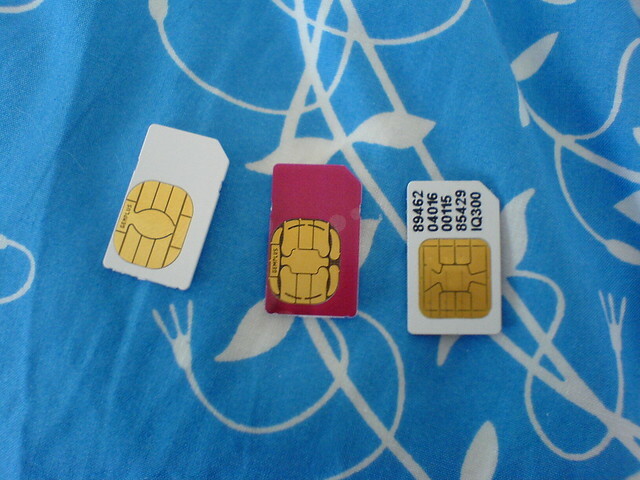 Another option is to use phone cards, and there are plenty of companies offering competitive rates for calling abroad. Certain companies will offer preferential rates for specific countries, so it’s important to comparison shop. There can be connection charges and other hidden costs, so just make sure you read the fine print to determine whether they make sense for you. Do you have a tip for calling abroad? Share your advice with other readers by leaving a comment below! If you are reading this via email or RSS feed, click on DowntownTraveler.com to leave your comment. Good point. Skype is great– although it’s annoying to be in an Internet cafe when everyone is skyping! These are great tips! I never thought of number 4. Normally when I arrive in a foreign country I buy the cheapest cell phone I can find in the phone store. Incoming calls are normally free so my family can call me and I pay nothing, and I buy minutes as I go which is normally much cheaper than using my smartphone. I just did this on my recent trip to Russia. When we were in Ecuador, my friend used Whatsapp to make international calls. The connection wasn’t perfect but as long as she had Wifi, she was able to communicate with family back home and it was totally free! Thanks for the tips Roni! It’s great how many free and cheap phone options there are nowadays. While calling cards seem a little outdated they are actually a great way to call international without costing you a lot! I used it when I was living abroad and one that only cost me 10pounds lasted almost 2 months!